This one sounds like a surefire hit. 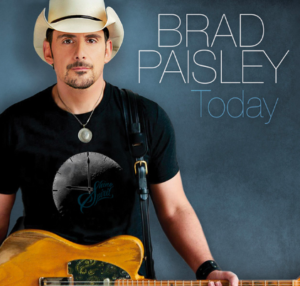 I thought that Brad Paisley’s last song was going to make it higher on the charts. That duet with Demi Lovato was definitely a step in a slightly new direction for Brad, but it was a good step. The song just kind of seemed to stall out in the teens on the chart, but that happens sometimes. Now it’s time for a new single and Brad is getting back one of the types of songs that he does really well. This is a great love song that I’m sure country fans will love. This one seems like a surefire number one hit, but we’ll go ahead and say that it will get into that top five without issue. I’m sure it’ll get higher, but I’ll go with #5 on the chart. The song is about a guy that is with the woman of his dreams. He has memories from the past of her that can turn any bad day into a good one. He doesn’t know what the future will bring, but he knows that everything will be just fine because he can always go back to the memories that the two have made and are making today. My brother is getting married today so it seems like a fitting song for a wedding. I think Brad’s fans have already been using this as a wedding song and all that kind of stuff. It’s the kind of song that makes you think about the one you care about most and when you do everything just kind of feels alright.